The 2020 Chevrolet Silverado HD, the third all-new Silverado in just 18 months, larger in virtually every measure compared to the current HD and available in Work Truck, Custom, LT, LTZ and High Country trim levels across 22 cab, bed, chassis and driveline configurations, is powered by a new 401 horsepower 6.6L V-8 gas with direct injection mated to a six-speed automatic transmission or a 445 horsepower Duramax 6.6L Turbo-Diesel V-8 equipped with all-new Allison® 10-speed automatic transmission boasting a max towing capability to an available 35,500 pounds. The 2020 Silverado HD offers up to 15 unique camera views, including HD Surround Vision, Bed View, a transparent trailer view, and an accessory camera. The lineup includes 2500HD and 3500HD Regular, Double Cab and Crew Cab models offered with standard length and long cargo boxes, as well as two chassis cab lengths. 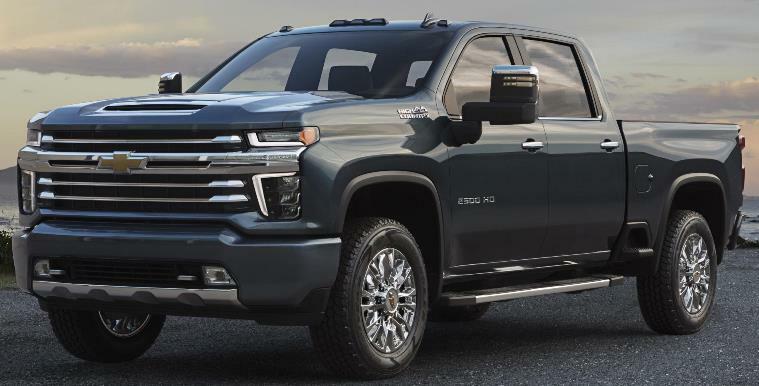 The all-new 2020 Silverado HD goes on sale this summer. Pricing will be released closer to on-sale date.